Cuts of beef and cooking tips. 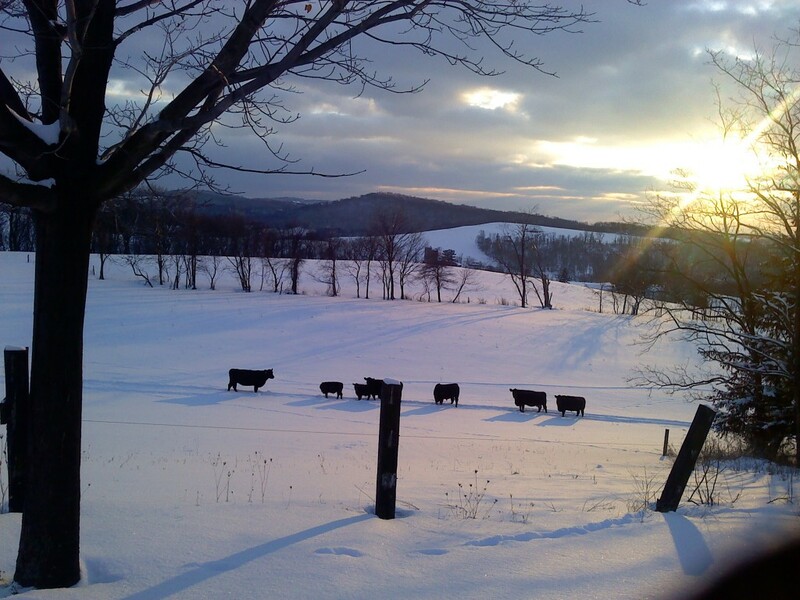 A winter pasture scene at Friendship Farms. 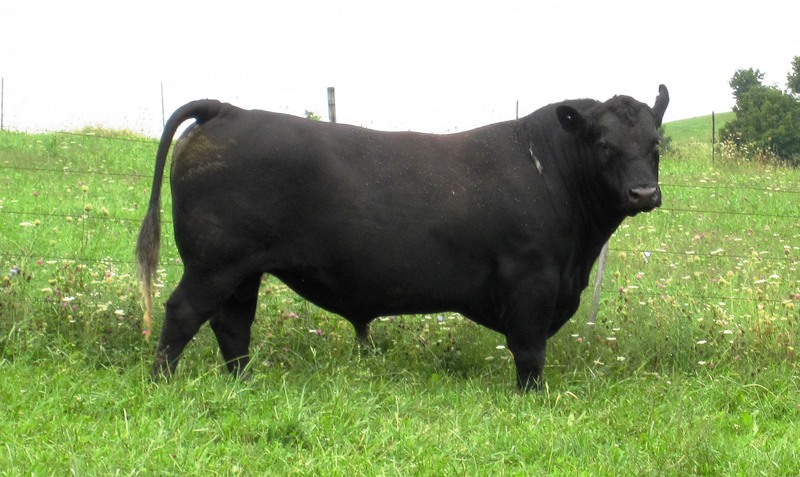 Purchasing beef by the cut is simple option for customers who want small quantities or specific varieties. Included below is a brief description of some of the cuts available as well as suggestions for their preparation. Friendship Farm Steaks on the grill. The preferred method for cooking steak is to sear it with a preheated grill. Friendship Farm beef is so tender and flavorful that most people enjoy its natural beef flavor without sauces. This is also one of the healthiest methods of cooking since most sauces or marinades contain oil. These cuts are also excellent when broiled or pan grilled. When cut thick, any of the steaks may be cut into cubes and used for kabobs. Chuck Roasts and Stew: These cuts require slow simmering in a covered pot, crock pot or pressure cooker. Be creative with cooking liquids. Beer, red wine or a little garlic are good seasonings. Don’t be afraid to vary the spices by using Italian seasonings, bay leaves, thyme, parsley, celery, tomatoes and paprika, etc.. Vegetables also add variety and flavor. Try simmering your beef in your favorite barbecue sauce. Fajita marinade is another good alternative. You can simmer these cuts in any liquid just the way you would simmer an old fashioned stew. Finally, a family favorite is chili made with stew beef. Boneless chuck steaks make an excellent quick meal when quickly seared in a skillet and seasoned with salt and pepper. Sirloin tip, round and rump roasts: Very lean and flavorful, these roasts make wonderful main dishes and are very easy to cook (a good meat thermometer really helps). Try grilling your roast. Because they are so lean, we recommend browning the lean roast first on the grill and basting while cooking. Coating the outside of the roast with your favorite spice rub before grilling creates a mouth watering aroma and adds flavor. After the meat has browned, place it on a roasting pan (use an old all metal roaster, a foil pan, or make a pan by folding two or three layers of heavy duty foil), and continue cooking. For a fat free basting liquid try using bouillon. As it mixes with the pan juices it creates a delicious juice to serve with your roast. Pot roasts are another great use for these cuts of beef. They differ from the above suggestions because they require a covered slow cooker, but the possibilities, such as beef bourguignon, beef a la carbonnade, and beef ragout, are as endless. Sirloin tip can be cut into minute steaks. Minute steaks are made by cutting the sirloin into 1/8” to ¼” slices. These are best cooked on a hot griddle or frying pan in a tiny amount of olive oil. The best way to prepare them is to sear one side and quickly flip it and sear the other side. Each side takes only seconds to avoid over-cooking. They can be eaten as is, or made into hot sandwiches. Ground beef. 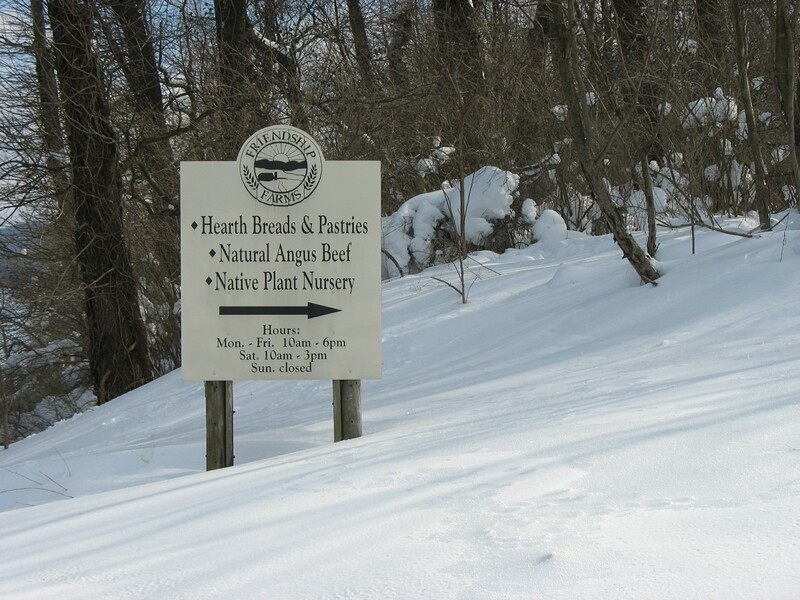 Friendship Farms beef comes from the finest grade cattle that have been bred and fed to provide top quality beef. Our hamburger is totally different from commercial beef that is usable for nothing but inexpensive ground beef. Burgers made with our ground beef need little more than salt and pepper to be delicious. Many people add bread crumbs to meatballs and meat loaf to make the meat go farther. Another option is to add a small amount of a flavored liquid like spaghetti sauce or bouillon. Careful browning of the meatballs keeps them from falling apart as you work them. 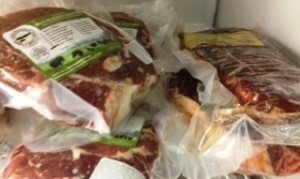 Cuts of beef in our freezer. Round Stakes: Very versatile and great for quick, lean meals, round steak is excellent grilled, broiled, pan seared, or stir-fried. Round steak is very lean and therefore becomes tough if you over cook it. Since it is usually fairly thin, it should be cooked quickly on a preheated surface. By the time the outside is adequately browned, the meat is usually cooked through. If round steak is inadvertently cooked too long, it can be treated the way you would a less tender cut of meat and simmered slowly with a cooking liquid until it is tender. Round steak can be marinated and then grilled. It is wonderful stir-fried with whatever seasoning you like and then tossed with your favorite vegetables or pasta. It makes great fajita meat or barbecue. For a special treat, try small portions of round steak as breakfast steaks. Note: We recommend spraying your pans with a pan coating spray such as olive or canola oil or greasing them when necessary with an oil coated paper towel. Thick gravies and /or creamy sauces add unnecessary calories, fat and cholesterol to beef. Cooking carefully, planning balanced meals, and using low fat sauces and seasonings allows variety and limitless possibilities for planning delicious healthy meals.